We know when cold and flu season is upon us because we become very aware of how much contact we have with one another. We use hand sanitizer faithfully so that we keep our hands free of any germs we might up. But not all illnesses come from human contact. The structural equivalent of cold and flu season for a building is all year around, 365 days a year. Building health has a lot to do with human health. We spend a great deal of our time inside buildings; most of our day, in fact, is spent inside unless we have outdoor jobs. However, the buildings in which we live and work can have a direct impact on our health, particularly for anyone who has respiratory issues. The real culprit isn’t the building itself but rather the damage that can take place if weather manages to invade the inside of the building. If dampness from snow or rain is able to compromise insulation, the results can lead to ill health for your building through the development of mold. And mold affects the people who live and work inside the structure. But Danpal rainscreen cladding can make the difference in how you keep your building healthy enough to avoid mold. 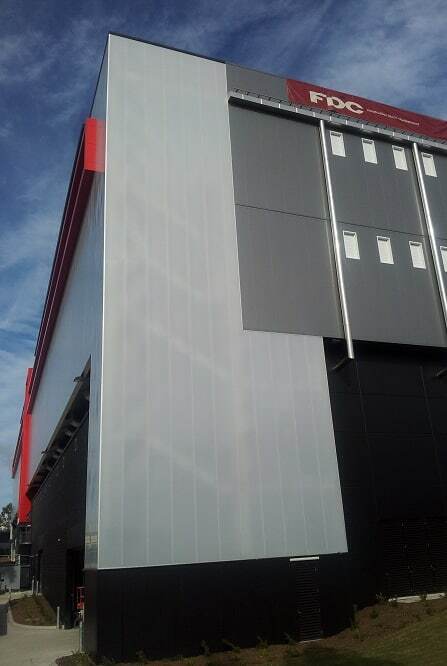 RAINSCREEN CLADDING RESISTS WEATHER DAMAGE. We all know how weather affects us personally. A cold blustery day sees us wearing scarves and gloves along with our heavy coats. We’re searching for our umbrellas when there’s rain in the forecast. We can protect ourselves from the effects of weather, but what do buildings do? The external building may seem as if it’s impenetrable, but how can you be certain? If you choose to add rainscreen cladding to your building, you’re adding weather protection and peace of mind. Keeping insulation dry is vital if the building is going to remain sturdy and healthy for those within. Leaks of any kind are a diagnosis that no building wants to have; a leak can weaken the structure and eventually cause serious problems that compromise the integrity of the building. Rainscreen cladding, which is made of an outer panel, a ventilated cavity, and an inner panel, is protection from the damage caused by moisture. An air gap between the cladding and the building’s exterior nurtures a steady flow of air. Rain is also prevented from entering because of the overhangs and screens. Moisture stays out, and insulation stays dry. If you suffer from asthma or allergies, you’re already well aware of the harmful effects of mold. Health professionals warn us that mold is an ominous threat to people who are dealing with breathing issues. That’s why you need to make sure that the buildings in which you spend your days and nights are healthy, with dry insulation and no leaks. The connection between wet insulation and respiratory ailments has another aspect that must be addressed. If insulation is damp, it’s unable to do its job effectively. That means using more energy to heat and cool a building. Wasted energy is an economic factor for us because it means that we’re paying for energy we aren’t using. But in these days when we’re all trying to do our part to shrink the size of our carbon footprint, we don’t want energy inefficiency to increase environmental concerns. You know what a curtain is. You know what a wall is. You know what a system is. What you may be pondering is how all these elements combine to create an entity that provides better weather protection for your building while promoting practices and providing choices that offer both environmental and esthetic choices. Architects are trained to create a building that starts as a concept and finishes as a structure. In between those starting and ending points, there’s Danpal. The construction process that goes along with the installation of a curtain wall system reveals a lot of work. But much of the work that’s part of the process is unseen. In order to create a curtain wall system that has the high performance quality that Danpal products are famous for, we dedicated an impressive amount of research, time, and effort. Because our products are light in weight, they’re easier to work with. Clients appreciate the increased convenience and financial savings that they receive as a result. Flexibility adds to the esthetics of the curtain wall system; ours have concealed joints to keep the exterior wall flush, allowing for adaptation to the desired shape. The building is secure thanks to our double-click locking seam which adds to the easy installation process. Those features are the result of the know-how that Danpal brings to the manufacturing process: before we build it, we’ve researched it and tested it so that. You see the finished product. That’s where Danpal innovation and quality are visible. Maybe you’re wondering why we’re so proud of our curtain wall systems. It’s true that curtain wall systems don’t play a structural part in the design of your building, but that doesn’t mean they aren’t important. A building can’t protect itself from the damage that weather can cause, whether it’s from a single extreme event or the ongoing, relentless effects of snow, wind, rain and even sunlight on the structure. Our secret weapon is our microcell technology, which gives the curtain wall system that line of defense that keeps damage out. Once a building has been damaged on the inside by dampness left behind from snow or rain, it’s compromised in a manner that will affect your energy expenses, the structural integrity of the building, and the overall life expectancy of the building. A curtain wall system keeps a building strong throughout the seasons. Flexibility. Strength. Energy efficiency. Protection from weather damage. Color. Color? How does color come into the picture? At Danpal, we regard performance and appearance as a match. If you buy a car, you’re looking at more than tires and miles per gallon, right? You’re also checking out its looks. Buildings are the same. They have a purpose and they have a visual appeal. A curtain wall system adds that extra something to your building’s image and you’ll enjoy the options that Danpal provides with regard to colors, textures, and finishes. The next time it rains, take the time to look outside and notice how the raindrops hit your building or home. For us, rain is a temporary inconvenience that’s alleviated as soon as we get inside a building or a car. But for a building, rain is a relentless soaking that lasts as long as the shower or storm. It’s a good idea to provide as much protection as possible for your building, because rain can cause a tremendous amount of damage internally. Rainscreen cladding is one way to provide a structure with that level of protection because it offers a defensive barrier that keeps moisture from penetrating. If you want your building to last a long time without deterioration caused by weather damage, consider rainscreen cladding. We live in a busy world. Wouldn’t it be nice if our buildings could do more than one thing at a time? Danpal develops building materials that can multi-task. Not only do they have a specific function to perform, but in many cases, they also have an esthetic role as well. This versatility is one of the many reasons why Danpal has built such a well-regarded reputation after 50 years of experience in the building industry. 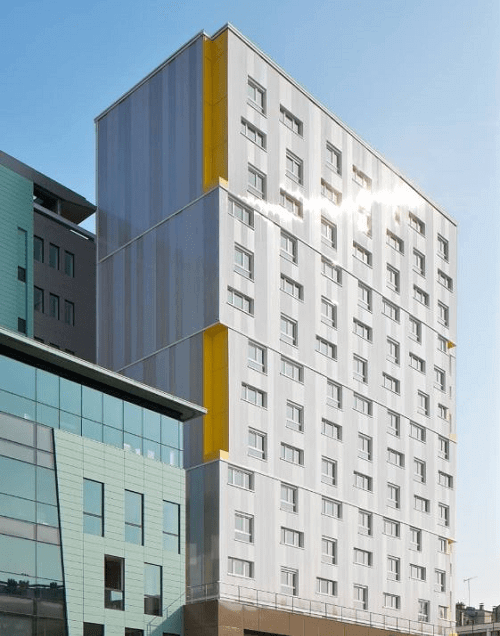 Danpal rainscreen cladding is a popular product that protects a building from the harm that weather can cause and, at the same time, shows off a building’s visual beauty. Building health depends on keeping insulation dry. Weather is a threat to a building’s life span and every season brings a different danger to a structure. Rain and snow are the obvious perils to a building, but wind, hail and even sunshine all have the ability to jeopardize the health of a structure. But if rain or snow manages to penetrate the interior of a building, the first risk is to the insulation. After the insulation has been compromised, the problems are just beginning. Leakages are one problem, but they can lead to structural issues and ultimately, even building collapse. The problems that begin with the building can extend to the occupants who live or work there as well. Moisture leads to mold and the presence of mold can create problems for people who suffer from respiratory issues. Danpal knows that if a product is going to deliver a top performance, it has to be made out of top-quality materials. Danpal’s rainscreen cladding is built to last. 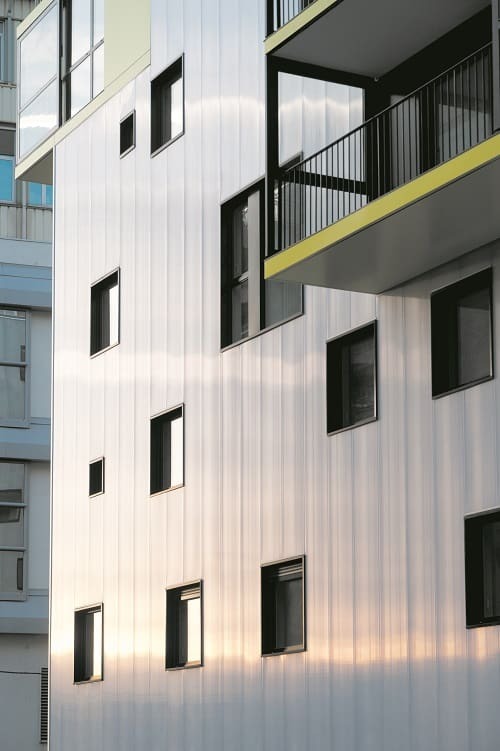 The rainscreen cladding, because it’s made with a ventilated cavity and an inner and outer panel, benefits from the steady flow of air that results from the gap in between the exterior of the building and the cladding. This system is designed to keep leakages from developing. Not only does Danpal’s rainscreen cladding protect the insulation, but it also improves a building’s visual appearance. The range of colors, along with the customizable options, gives the building an esthetic identity that enhances the neighborhood. Customization, a popular Danpal feature, also offers the opportunity for architects to unleash their creativity with rainscreen cladding. There’s no reason for a building to lack character or originality and Danpal rainscreen cladding plays a dramatic part in nurturing the image of a structure so that it fulfills its purpose and maximizes the appeal of the visual neighborhood. 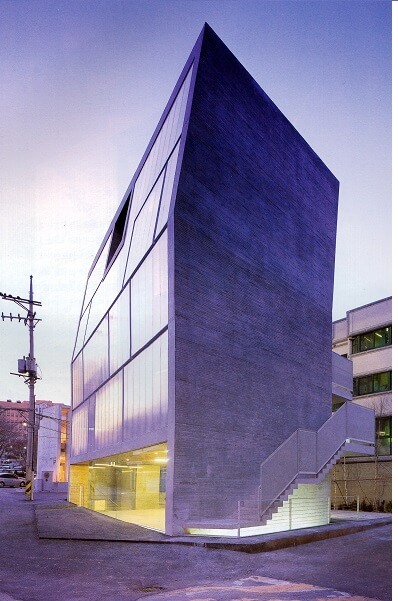 Another favorite characteristic of Danpal rainscreen cladding is its easy maintenance. How do you keep it looking the way it should? Just wash it with water and it will continue to look like new. Cladding acts like a building’s skin, shielding the inner workings of the structure with an external form of protection. Keeping it clean is the quick, easy way to maintain that attractive appearance that makes such a difference in the way your building can retain its beauty over the passage of time. There’s a good chance that you know someone who suffers from allergies. You might be that someone, or it might be a friend, a co-worker, or a family member. You might know someone who has asthma. These respiratory conditions seem as if they’re becoming ever more common in our society. Medical science is charged with figuring out why these conditions are so prevalent and what we can do about it. But the building industry also plays a role in reducing the risk of asthma, allergies, and the other breathing problems. All the elements of weather that we associate with the outdoors sometimes, unfortunately, develop an indoor presence. If a building’s insulation is compromised by rain or snow that has managed to penetrate a building’s defenses, moisture results. Moisture, over time, creates a hospitable environment for mold to develop, and after that happens, the next stage is when the occupants of the building are affected by the growth of mold. Allergies and asthma are the most common results of mold, but other breathing problems can also result, particularly in those people who are afflicted with respiratory ailments. The very young and the elderly are often the most vulnerable. Danpal makes no pretence of being able to treat medical issues, but we do have our own version of a vaccination against mold. Danpal rainscreen cladding is what’s needed to maintain your building’s insulation in a pristine condition so that it’s unaffected by moisture. Let Dr. Danpal tell you what you need to do to keep your building healthy. Day in, day out, weather is hamming at the exterior of your building. Whether it’s the rain or the snow, weather just doesn’t let up. A building that’s not protected is going to surrender to the accumulating effects of weather. We’ve told you about the effects that wet insulation ultimately displays and how it affects the occupants of a building. But the building suffers too. Leaks in a building weaken the structure and can, if not fixed, lead to internal problems. They can even, if ignored, lead to serious structural problems with the building. With rainscreen cladding, a building has a sturdy defense mechanism against the weather. The cladding is made up of an inner sheet, an outer panel, and a ventilated cavity. Between the exterior of the building and the cladding, there’s a gap that promotes a steady flow of air. The overhands and screens keep the rain from entering. When there’s no moisture invading the inside of a building, the insulation remains dry. 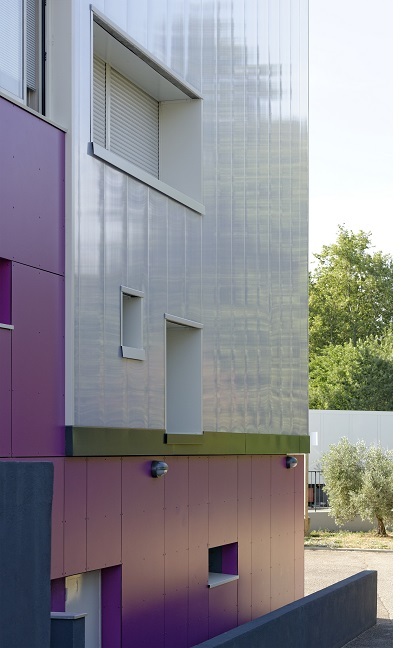 Rainscreen cladding plays a very important role in maintaining the energy efficiency of a building. Your heating and cooling systems should maintain a consistent temperature inside so that, no matter what the weather is doing outside, the people who live and work within are comfortable. If you’ve noticed that you’ve been needing to adjust the temperature, it’s possible that moisture has penetrated your building and energy is escaping. Rainscreen cladding does such a superior job of protecting moisture that it also supports your building’s energy efficiency by keeping the insulation dry. Maybe someday, technology will advance to the point where a building can alter its construction based upon the weather forecast. Maybe there will come a time when we live and work in genius buildings that don a protective coating that shields it from the effects of a pounding rainstorm. Maybe we’ll see the day when buildings will be immune to the powerful heat of the sun. 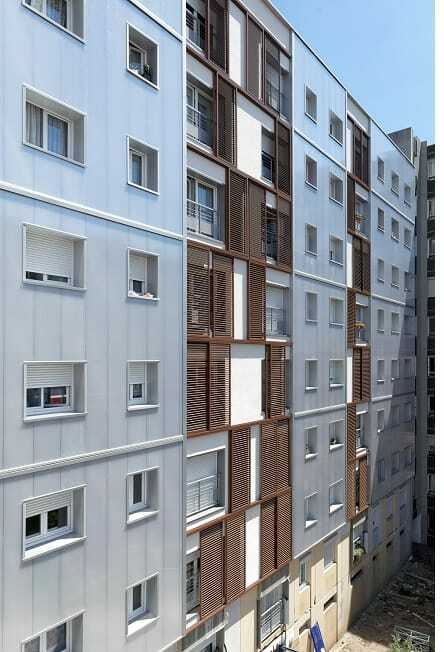 But before the day comes when buildings have wardrobes that include structural raincoats and sunglasses, Danpal suggests that you look into rainscreen cladding. It’s the closest thing we have to weather protection for buildings and it works! Rainscreen cladding even has an advantage that a wardrobe doesn’t have. It’s much easier to maintain. After it’s been washed with water, it looks like it was just installed. Wouldn’t it be nice if our wardrobes were that easy to maintain? We tend to think of weather in terms of how it affects us, not our living spaces and working spaces. But if you’ve ever had to put a bucket under a leak in the roof to prevent water from dripping all over the floor, you’ve learned firsthand that weather is a force to be reckoned with. Every aspect of weather, even a light drizzle or a brief snowfall, brings with it a process of deterioration. Weather is inescapable. But the building industry has devised defenses to protect structures from the elements and Danpal, with 50 years of experience, has used its research and innovation to become a leader in the field. Your building doesn’t make wardrobe changes. 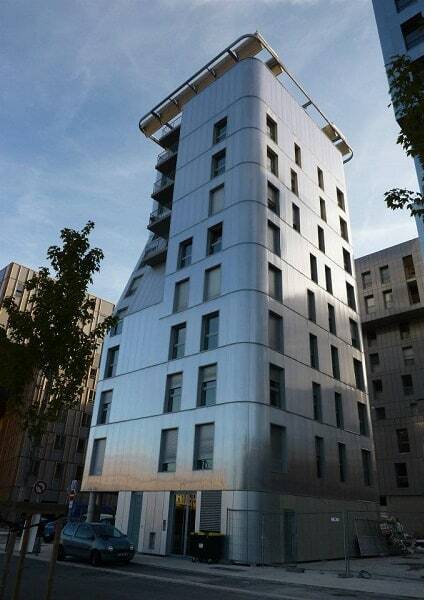 But with cladding, a building has a protective layer that’s designed to protect the interior from moisture. Rainscreen cladding is the way that insulation is kept free from leaks which can do so much harm. With our Ventilated Rainscreen System (VRS), the building’s weather protection comes from our double-notched wall panels. Natural ventilation provided by an air gap protects the insulation so that moisture from snow and rain can’t affect it. When we’re inside, we want to be spectators, not participants, in the weather activity going on outside. Knowing that your building is dry from the insulation inward gives you a sense of confidence in the protective features that your architect has designed. 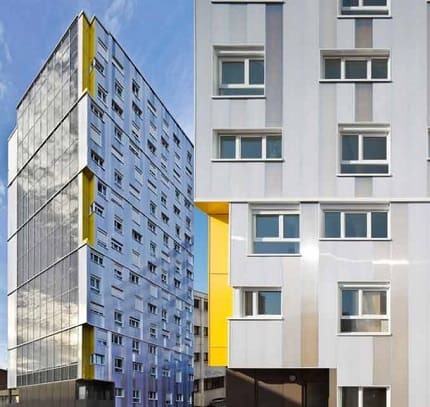 Rainscreen cladding connections are fastened right onto the support itself with no need for additional support features. Whether you choose metal cladding that’s made of galvanized steel or aluminum, or you prefer plastic, imitation stone, brick or wood, you’ll find that rainscreen cladding is the economical, efficient way to protect your building. With that efficiency comes enhanced energy usage as well. The heating and cooling that you’re paying for to live and work in comfort are exactly what your building is providing. Energy isn’t escaping from the inside to the outside because the insulation is failing to do its job. Your rainscreen cladding supports the process of keeping insulation dry in order for the building to maintain a consistent, comfortable temperature no matter the season. Buildings are masters of the art of concealment. When you’re inside a building, you don’t see the structural aspects that hold it together. Whether you’re at work or at home, you’re perfectly content to see floors, walls, and ceilings and no more. When people pass by a building, all that’s on view is the exterior. Cladding is for the building what skin is for the body, showing the structure at its best angle and not how it looked when it was under construction. Cladding comes in different materials. If you want metal cladding, you can choose galvanized steel or aluminum. But metal isn’t the only option. You might prefer cladding in brick, wood, plastic, or imitation stone. Cladding has a functional purpose as well as a cosmetic one; the outside elements that could harm a building need to be kept out of the interior. When cladding does its job correctly, no moisture penetrates the protective membrane of the cladding. If your cladding is the Danpal Ventilated Rainscreen System, you already know that your building’s interior is safe from any invasive weather. By using Danpalon panels with the Ventilated Rainscreen (VRS) System, you are providing your building with superior protection for your insulation. Studies of energy efficiency indicate that in the world’s most developed nations, buildings are responsible for approximately 40% of the nation’s energy consumption. When you think of how important our physical location is to our lives, that’s probably not surprising. But if the building’s insulation isn’t dry, the energy that the building uses escapes and goes to waste, costing money and affecting the health of the environment. When the insulation is working the way it should be working, your central heating and air conditioning can also work as they’re supposed to without having to change the settings all the time. If you’re looking for a way to reduce your building’s carbon footprint (and who isn’t? 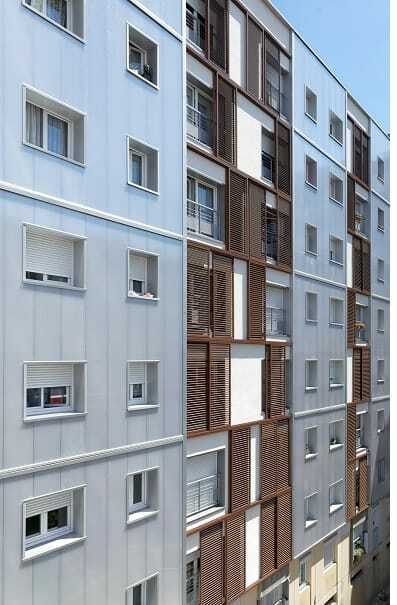 ), you can count on Danpal rainscreen cladding to keep your insulation in peak condition. There are several factors that go into the superior performance of Danpal’s Ventilated Rainscreen System. 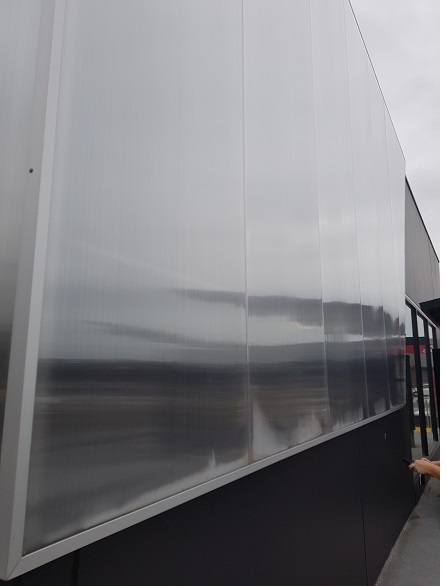 The panels are made of Microcell polycarbonate, a product that is three times lighter than traditional rainscreen cladding, making them lighter and easier to work with. They’re double notched so that water can’t penetrate. The system employs an air gap whose convective motion behind the panels causes natural ventilation so that the insulation stays dry. Installation is easy because the connectors are made directly on the support itself, alleviating any need for additional framed structure support. 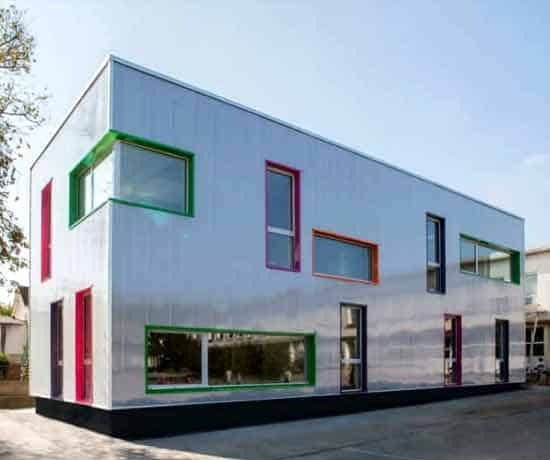 Danpal VRS is the obvious choice in rainscreen cladding because of its performance. But it’s also the obvious choice because of its visual appeal. Danpal offers so many choices in color, textures, and finishes that choosing a cladding is a lot like selecting a wardrobe for your building. We all like to dress up now and again, but when it’s a building, it needs to look good all the time. 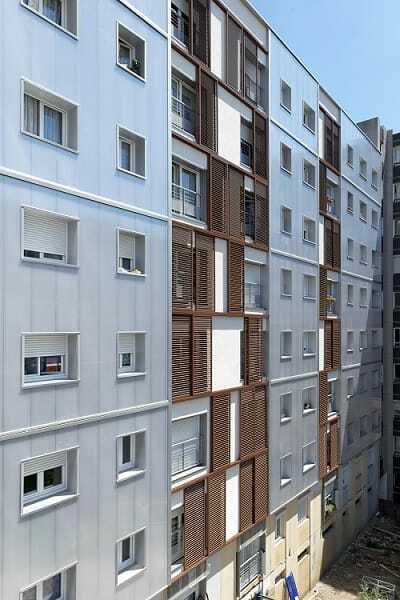 With rainscreen cladding from Danpal, it will look great! The next time you’re listening to the weather report on the evening news, take a minute to go outside and take a look at your home or office. When we hear that it’s going to rain or that there’s snow in the forecast, our first thought is what we should wear to accommodate the weather. But a building’s wardrobe is a lot different than ours. Rainscreen cladding is a building’s version of an umbrella, designed to protect the structure from the external moisture that could damage the interior if it gets inside. Rain is the number one culprit when there’s exterior damage to a building, and that’s why you need to install rainscreen cladding. Rainscreen cladding is made up of a ventilated cavity, an outer panel, and an internal sheet. There’s a gap between the cladding and the exterior of the building which prevents moisture the moisture caused by rain and snow from seeping into the wall. The double-notched panels keep everything watertight to prevent the rain from invading. Likewise, the overhangs and screens are extremely effective at halting the rainwater from entering at all. 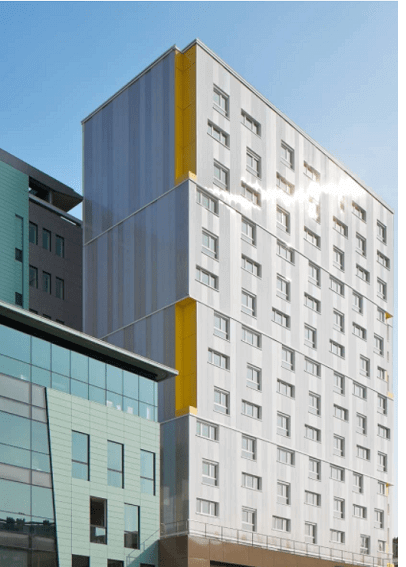 The effectiveness of Danpal’s Ventilated Rainscreen System is based upon its connector-bound Microcell polycarbonate panels, which are three times lighter than traditional rainscreen cladding. The rainscreen cladding is a money-saver in a number of ways. The ventilation system, by enhancing the efficiency of the building’s insulation, saves on energy costs. When moisture gets inside a building, it can eventually lead to structural problems lie mold, corrosion, high levels of permeability and weakened insulation that’s much less effective. By the time the problem is detected, the damage may be so pronounced that repair and replacement costs are going to be high. Because rainscreen cladding is so easy to install, there’s less time involved in the process, which means that less of your money is spent on the installation process. And because the process is so efficient, there’s minimal disruption to the people who are working inside the building. Here’s something else that will bring a smile to your wallet. If, for some reason, the building is slated for demolition in the future, the cladding can be reused. You can’t get much more sustainable than that! Rainscreen cladding, by preventing the development of problems that arise when moisture leaks into a building, does a great deal to keep the structure maintaining its appearance. But rainscreen cladding is like a 24/7 spa treatment for a building throughout its existence, keeping it looking new and well maintained. Danpal offers many customizable options to choose from, and the variety of colors, textures, and finishes ensures that the building will possess its own unique look, which is an ideal way to establish your identity in the area. But there’s another way that your building is going to establish its identity. It’s the building that withstands the elements and the test of time, thanks to the protection of its rain screen cladding. Grimshaw is one of five practices selected to design and build a cubby for the Kids Under Cover 2017 Cubby House Challenge. 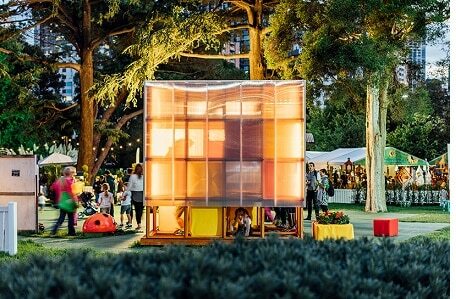 The five cubbies were auctioned at a VIP event at the 2017 Melbourne International Flower & Garden Show, raising AUD$162,000 for the Kids Under Cover’s Studio Program, an early intervention strategy which helps to prevent youth homelessness. MySpace, the cubby designed by Grimshaw, fetched AUD$21,000 and was the recipient of the Kids Choice Award, and the Most Imaginative and Interactive Award. We are honoured to have been a part of the 2017 Cubby House Challenge. 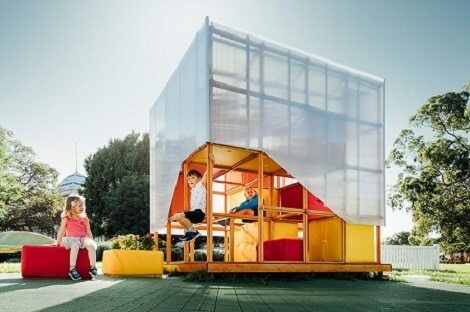 Through MySpace, Grimshaw has reconceptualised the traditional cubby, transforming the rigid building form into one that allows children to create their own space by manipulating various sized blocks across four levels. How they enter the cubby and arrange the interior is up to them – it is a non-static space that children can make their own and reinvent as they desire. The moveable blocks have multiple uses to reinforce this sense of ownership and flexibility. They can be used to fill voids or provide openings, as furniture or storage and to house secret treasures and trinkets. Two key workshops were held to develop the concept for MySpace. The first invited children to contribute their ideas of what constitutes the ultimate cubby. A space for flexibility, creativity and retreat were recurring themes, with orange a popular choice of colour. The second workshop was a design charrette which offered Grimshaw’s architects the opportunity to recall their childhood cubby house dreams. The ideas were harnessed into a single concept with a strong connection to one of the architect’s memories of playing with the wooden crates in his father’s fruit and vegetable warehouse; crates were positioned to create voids to hide in or used as stepping stones to create a flexible oasis akin to a human-scale Lego set. This concept was developed through the ethos of Grimshaw’s architectural practice; strong conceptual legibility, innovation and a rigorous approach to detailing, all underpinned by the principles of humane, enduring and sustainable design. In turn, MySpace has been realized as a bespoke shelter which encourages confidence and creative play while offering a finely crafted installation fit for the most urbane of backyards. Conceived as an elegant piece of joinery, the cubby’s frame has been built using 75mmx75mm Tasmanian Oak hardwood timber beams. Each member has been machine cut and routed to form a cross profile that integrates horizontal rails, allowing the boxes to be safely and easily maneuvered. With each member dowelled and glue joined to form a rigid connection there are no visible fixings. This ensures that the frame can facilitate safe vertical and horizontal movement and provide railings that may be easily held on to by small hands. Rubber matting is incorporated in the floor as a further safety measure. The boxes within the cubby are fabricated from pine plywood. Each box is wrapped in high density foam, then covered with an external-grade colored fabric. With a translucent polycarbonate (Danpal) roof and façade, MySpace provides a shelter which offers children a sense of concealment while providing visibility to the outside. 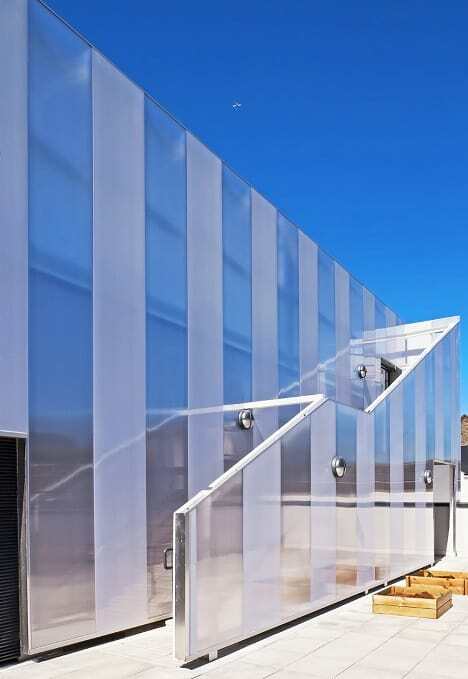 The polycarbonate cladding system provides a clean façade finish by concealing all screw fixings. To complement the notion of a safe hideout, a yellow periscope peaks out from the roof to allow children to keep watch and observe their surroundings. Page 1 of 2 Lighting is another key feature of the cubby. Our design incorporates LED strip lighting into each internal corner of the frame to illuminate the interior and allow the cubby to ‘glow’ at night. Grimshaw has worked closely and collaboratively with the builder and suppliers to deliver a cubby that is of the highest quality while offering a reconfigurable space to keep children intrigued – a true team effort for the benefit of the children that may make MySpace their own as well as those whom it may prevent youth homelessness for. There was always something exciting about creating your own cubby house as a kid. Whether stacking cushions from the family sofa, draping bed sheets over the ironing board or arranging cardboard boxes to form enclosures, it allowed a sense of freedom to create and play, to be the master of one’s own universe. 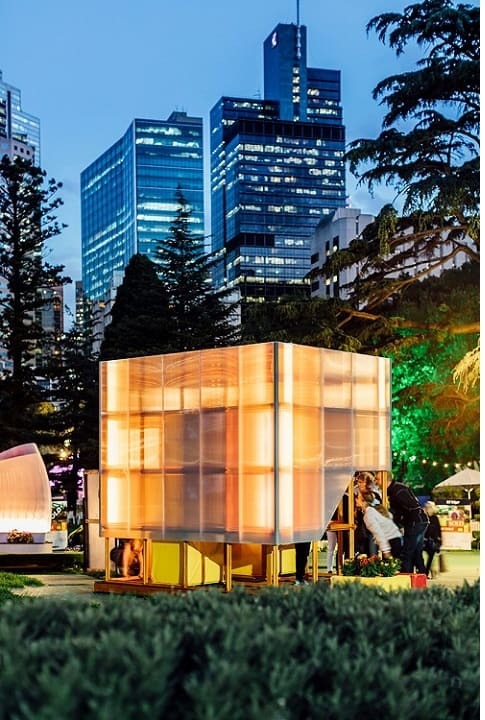 This freedom of creative play is actively explored with MySpace, a cubby house designed by Grimshaw for Kids Under Cover, a not-for-profit organization which raises funds to help prevent youth homelessness. Through MySpace we have reconceptualised the cubby, transforming the rigid building form into one that allows children to create their own space by manipulating various sized blocks over three levels. How they enter the space and arrange the interior is up to them – it is a space they can make their own and reinvent as they desire. The moveable blocks have multiple uses to reinforce this sense of ownership and flexibility. They can be used to fill voids or provide openings, as furniture or storage and to house miniature gardens. The second workshop was an in-house design charrette offering our architects the opportunity to recall their own childhood cubby house dreams. In keeping with Grimshaw’s architectural practice, the cubby was developed from a strong concept, with the final design resulting from a deep interest in adaptable and flexible architecture and craftsmanship. MySpace encapsulates childhood aspirations as well as a desire to empower children through their own creative play. Our ventilated rainscreen cladding system allows you to achieve an appealing looking exterior to your structure while still achieving some great performance benefits. In this day and age, there are a lot of regulations that need to be met for new and existing structures. This could be related to the environmental aspects to a building or just your standard building requirements. This is why it is much easier utilizing an integrated system that combines all of your needs into one thing, rather than trying to piece different aspects of regulations together from multiple sources. These days it has been shown that approximately 40% of the energy consumption that is primarily consumed in developed countries is from buildings. This means that there is a requirement for buildings to do everything they can to minimize the negative outputs they have on the environment. The key way in which this can be achieved through rainscreen cladding is by utilizing a system that has a high level of thermal insulation, like our VRS system. Our rainscreen cladding is based on a process of natural ventilation thanks to an air gap that is designed into our VRS system. This allows there to be a constant connective motion permeating behind the panels. This allows the insulation to stay dry and keep its performance benefits at an optimal level long into the future. This is thanks to the Danpalon panel that is being used. This system is also nice and lightweight, so you will have no trouble having it installed. Having said this, it is still extremely solid and has a high impact on resistance as it is made up of polycarbonate panels which are bound by connector made out of microcell technology. This is why we can prove our system is three times lighter than rainscreen cladding without compromising on any of the performance aspects of the system. As the system does not need any form of additional framing structures when installing it, you can save a lot of time, energy and costs by making the connections directly on the support. If you are concerned about adverse weather conditions negatively affecting your structure’s integrity, thanks to the double notching found in our VRS panels, there is going to be a perfect level of water tightness in the structure. Finally, the icing on the cake is all of the different creative features you can add into the system to make it as visually appealing as you like, depending on your tastes and preferences. One of the most important features that the latest forms of rainscreen cladding have is the ventilated cavity. These days it is buildings that make up to 40% of energy consumption in the main powerhouse countries in the world. This is why insulation is becoming such a big trend and many architects are having to carefully look at the R-rating of the structures they are designing and with what materials and types of products they are using for the building. It is also important to ensure that gas is properly distributed throughout these cavities to ensure that there is not an excessive build-up that could lead to big problems down the line. This is why there is a lot of research currently being carried out when it comes to rainscreen cladding, as the presence of even a small amount of methane the molar concentration of the cavity is going to be significantly decreased, which is not desirable. 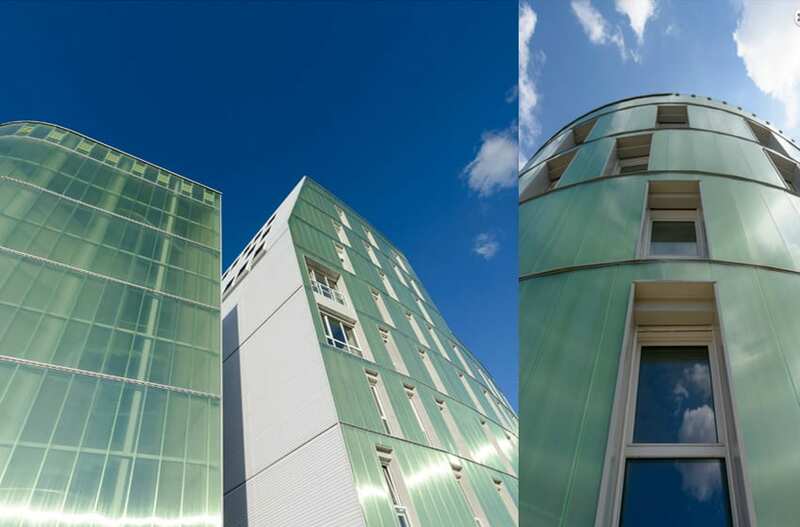 Systems like the Danpal VRS Rainscreen Cladding System achieve great energy efficiency thanks to the optimal ventilation and water tightness of the system. Natural ventilation is achieved thanks to an air gap which allows for a connective motion of air to permeate throughout the gap behind the panels. This will insure that the insulation remains dry and that efficiency is maximised over time. Thanks to the system double notching; which achieves a superb level of water tightness. The rainscreen cladding market has become huge in recent years, with estimations pointing towards it being worth $12.1 billion by 2022. This is due to more and more architects and developer steering towards more environmentally and energy friendly options when it comes to the design and building of their structures. 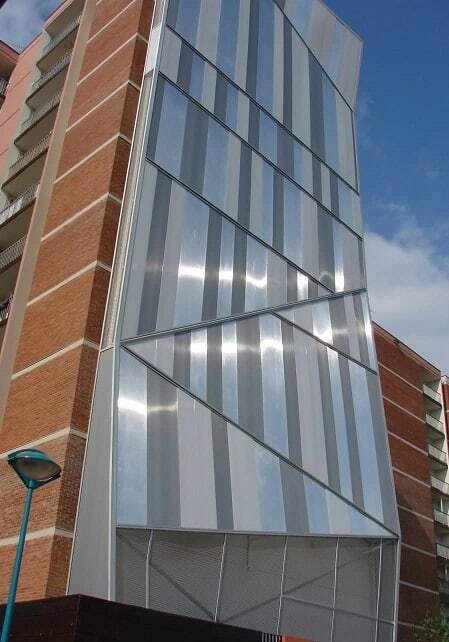 Learn more on Rainscreen Cladding here. Wall cladding is a great way to protect a building from adverse weather elements, as well as other types of irritants that could have a negative effect on the building. Wall cladding is the process of layering one material on top of another material which will create a skin layer over the walls. Cladding is almost exclusively used as a control feature, preventing the walls and the internal workings of a room or building being damaged by water or allowing the leakage of water that could potentially become a hazard for people who are walking around inside of the structure. Depending on the task at hand, different types of materials can be used for wall cladding, such as wood, brick, metal plastic or imitation stone. 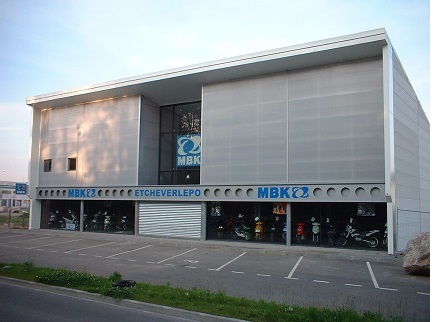 Metal cladding is usually in the form of galvanized steel or aluminium. The main advantage of using wall cladding is to protect a building form external damage while needing little to no maintenance. Once the wall cladding is in place, it will not need to be regularly checked or serviced like other weather protection measures have to be, costing time and money. If you have external cladding, if you care about aesthetic, it can be quickly washed down with water and it will look as good as new. One of the most common materials used for wall cladding is aluminium, as it is very durable and versatile, as well as lasting long into the future. One of the key purposes of wall cladding is for the protection and safety of the building and its occupants. It will make sure that the mechanical structure of the building remains sound, as it will be able to adapt to changing weather conditions. This is especially helpful in regions that go from one extreme temperature at one time of the year, to an extreme temperature during the other time of the year. It will also help to reduce the amount of water that is absorbed and will provide protection against chemical or air pollution. When it comes to Danpal and wall cladding, they are one of the leading providers in the industry. We have already talked about the important protective features that wall cladding provides, but with Danpal’s special system, it will also save you money in the long run, as the Danpal VRS is a system that provides great insulation for the room and building that it is protecting. Proper insulation in a building is vital, as it will ensure that temperatures internally are at an optimum level without having to change settings on specialised units, such as air conditioning and central heating. The Danpal VRS also allows for a natural ventilation of the building thanks to a special air gap, while still ensuring that the insulation remains dry and efficient over time. 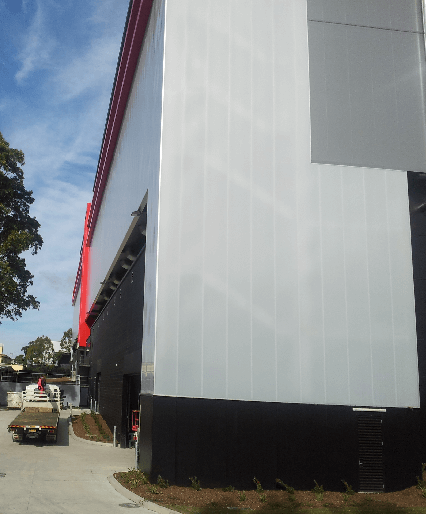 It is even more lightweight than your traditional wall cladding thanks to the connector-bound Microcell polycarbonate panels, meaning that it is simple and easy to install. When it comes to the longevity of a building, there are a number of factors that need to be taken into consideration. During the design process, you have to factor in variables like the visually appealing aspect of a design, the efficiency of the design and of course the cost factors associated with how the building is structured, what materials are being used. There is one thing that should not be overlooked, but often is. That is adding a form of protection onto the structure to ensure that the design and integrity of the building does not deteriorate over time. Due to different weather elements like wind, rain and snow, buildings can quickly become shabby and develop structural faults, such as poor insulation, mould, corrosion and high levels of permeability. This will lead to a lot of heartache down the road if you do not take appropriate measures to prevent this from happening. The idea of rainscreen cladding is to protect a building from excessive moisture. When it comes to exterior damage on a building, rain is the number one culprit. 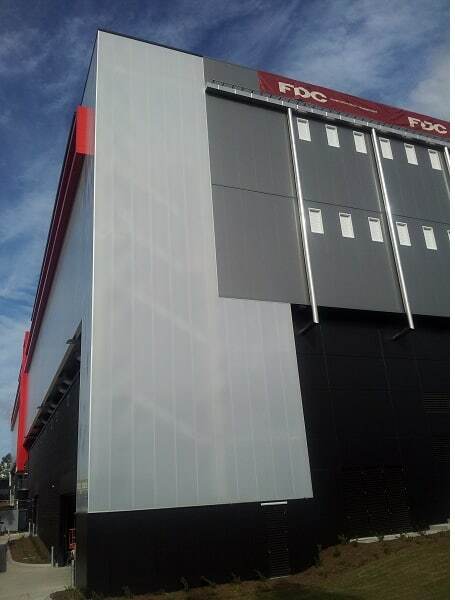 This is why you need to have a form of protection in place in the form of rainscreen cladding. 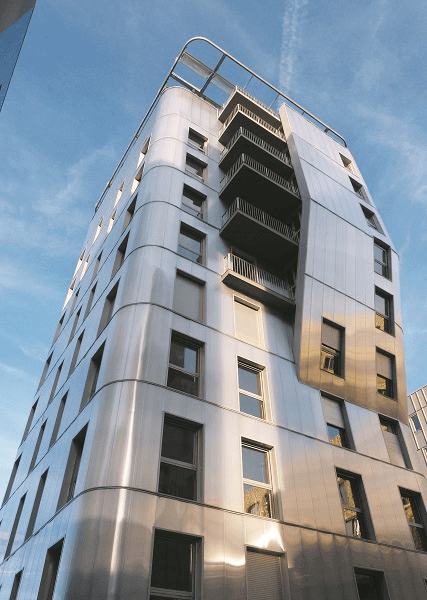 As well as providing protection from moisture and the long list of subsequent problems associated with it, you can also add to the aesthetic value of the façade of a building. The way it works is due to its structure, it is made up of a ventilated cavity, an outer panel and an inner sheet. The gap that exists between the building’s exterior and the cladding keeps water from being able to seep into the wall. The ventilated cavity encourages good air flow, with the overhangs and screens stopping rainwater form even entering in the first place. Danpal is one of the leading figures when it comes to rainscreen cladding. The Ventilated Rainscreen System is light but extremely solid. 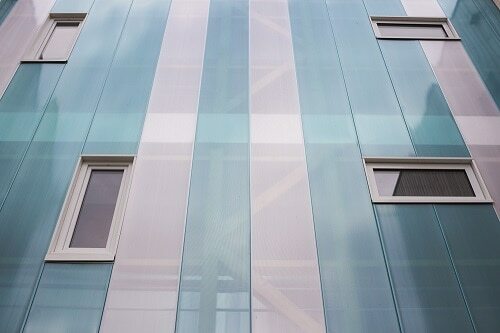 This is thanks to the material it is made out of – connector-bound Microcell polycarbonate panels which are as much as three times lighter than the mainstream rainscreen cladding that is found on the market today. This means that it is also simple and quick to install as the connections are completed on the support directly, which means that there is no need for extra framed structures. Thanks to the ventilation system, there is great insulation efficiency, saving you when it comes to your energy costs, as well as having perfect water tightness due to the double notching of the panels. The decision to install rainscreen cladding really is a no-brainer. It adds much needed protection to the exterior of a building from the terribleness of moisture. It can help to enhance the appearance of a building, giving it an updated and more modern look. It is very easily installed which means that there will be very little disruption. By improving the insulation of the structure, it is sustainable and you can even reuse the cladding if the building is being demolished. Finally, there are many customisable options to choose from when it comes to design and colour.